For a change of pace from the last two weeks, this week I've uploaded 24 illustrations inspired by the Zodiac. They're available as outlines, or fully coloured. 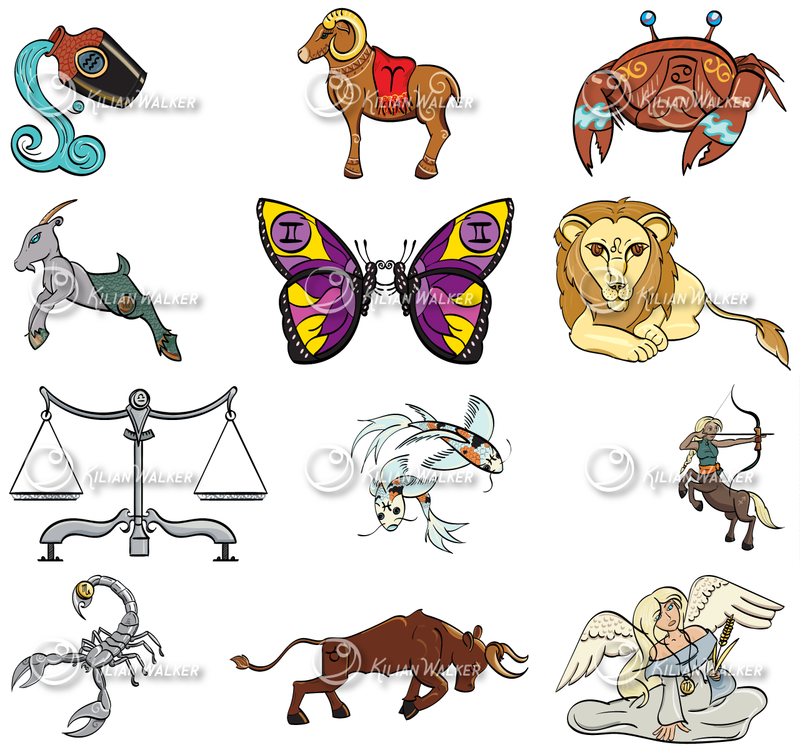 These were a lot of fun to draw, and I especially found Capricorn a lot of fun to draw. The on I would like to come back to and improve on the most would be Scorpio, I was starting to get a bit creeped out while looking at reference images, and being a Scorpio myself I of course want my symbol to look the best. Next week I'll have my portfolio updated with some of my graphic design work, and you can look forward to some fall and apple inspired illustrations.